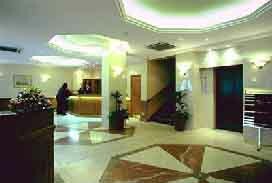 The Ambassadors Hotel in Bloomsbury offers an ideal London base for the corporate and leisure client alike. Covent Garden, Piccadilly Circus and Oxford Street are all within walking distance. The City of London is only a short taxi ride away. Bedroom facilities include colour TV, tea/coffee making facilities, direct dial telephone, hair dryer, trouser press and private bathroom with shower or bath. Two lifts provide access to all floors. Additionally, family rooms, rooms for the disabled and non-smoking rooms are also available. This hotel is no longer available in our reservations system. Click below for alternative hotels, or reserve this hotel from other Internet sites.